Joe Kaeser, President and CEO of Siemens AG. German industrial and engineering group Siemens has signed more than ten agreements with Chinese companies to explore business opportunities created by Beijing’s Belt and Road trade initiative. The deals cover power generation, energy management, building technology and intelligent manufacturing, and target countries and regions including Indonesia, the Philippines, Nigeria, Mozambique, and South America, the company said on Wednesday. The cooperation agreements between Siemens and Chinese firms, such as China Railway Construction Corporation and China Civil Engineering Construction Corporation, were signed at a Belt and Road summit organised by the German company in Beijing today. More than 1000 representatives from over 30 countries and regions attended the event to discuss the Belt and Road initiative, according to the company. The initiative was proposed by Chinese President Xi Jinping in 2013 to boost trade links and infrastructure investment among some 70 countries along the ancient Silk Road trade routes from Asia to Europe and Africa. 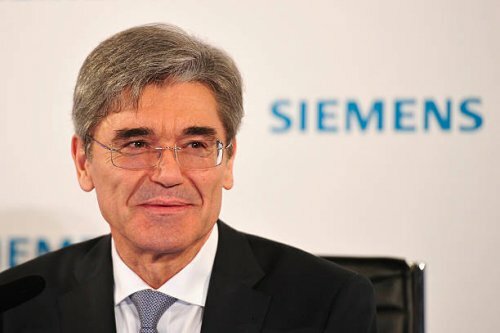 “As a long-term and well-established partner of China and its industries, we support the call of the Belt and Road initiative and take another solid step forward on a larger scale and a wider scope", said Joe Kaeser, President and CEO of Siemens AG. Siemens said it has already partnered with more than a hundred Chinese companies in overseas projects, including an advanced gas power plant project in Pakistan and a large soda ash factory in Turkey. The largest industrial conglomerate in Europe had 32,000 employees and made €7.2bn (US$8.8bn) in revenue from China last year, and has been eager to bank on opportunities related to the Belt and Road initiative. Earlier this year, Kaeser called the initiative “the new World Trade Organization” and the company announced that it was setting up an office in Beijing dedicated to the initiative. Meanwhile, politicians in Europe have raised increasing concerns about the initiative’s transparency and whether it respects international standards. The German business daily Handelsblatt reported in April that 27 out 28 national EU ambassadors to Beijing had compiled a sharply critical report on the Belt and Road initiative, saying it “runs counter to the EU agenda for liberalising trade and pushes the balance of power in favour of subsidised Chinese companies”. In February, German Chancellor Angela Merkel warned that China must not link its investments in the western Balkans to political demands. Beijing sees the region as an important gateway from the Greek port of Piraeus, which is owned by China’s Cosco Shipping, to markets in Central and Western Europe. China has brushed off criticism of the Belt and Road initiative, saying it does not impose business deals on other countries and that the initiative is large enough to include international companies. Chinese companies invested US$4.67bn in countries along the Belt and Road initiative from January to April, an increase of 17,3 percent from the same period last year, according to official figures.